Open dumping adversely affects the environment and remains the most widely used method for waste disposal in many developing rural areas in China. Information regarding the impact of rural solid waste (RSW) on the environment remains limited. The objectives of this study are to investigate the characteristics of RSW and the impact of different precipitation rates, and to evaluate the contamination potential of RSW using a leachate pollution index (LPI). The study showed that leachate concentration was significantly influenced by precipitation rates at the initial precipitation stages. Precipitation rates of 42.00 mm/day appeared to have the largest dilution effects. In contrast, the concentrations of leachate at rainfall rates of 24.00 mm/day and soaking were steady, and no similar trends were observed. The highest amounts of pollutants in leachate were the result of soaking. In the first week of our experiment, the LPI value for each rural area waste sample rapidly increased with rising precipitation rates from soaking to 42.00 mm/day. However, no significant change in LPI was observed thereafter (after 5 weeks) even with increasing precipitation rates. The values of chemical oxygen demand, biochemical oxygen demand, total nitrogen, and NH3-N in the leachate after 10 weeks were 4.00, 7.34, 1.87, and 2.21 times higher, respectively, than those of the prescribed leachate quality standards in China. The results of our study suggest the following course of action for the three dump sites investigated: in Banqiao, given the size of the population and the size of the waste amount, landfill might be a suitable way for disposing of RSW. In Machen, building a standardized waste collection site would be an economical solution for reducing potential pollution risks. In Jiuduhe, increasing the transportation rate of solid waste might be an effective solution. 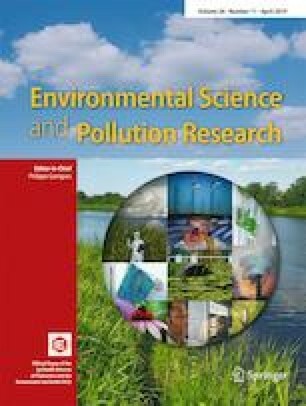 The results of this study can help to improve the understanding of leachate pollution in Chinese rural areas. We thank Paul Seward, PhD, from Liwen Bianji, Edanz Group China (www.liwenbianji.cn/ac), for editing the English text of a draft of this manuscript. This work was financially supported by the National Key R&D program of China (No.2018YFC1900103); the National Natural Science Foundation of China (No. 51808520 and No.51578312); and the National Science and Technology Support Program Project (No. 2014BAL02B01).